Families looking for good clean fun often find it at FunFlex Amusement Park in Houston. 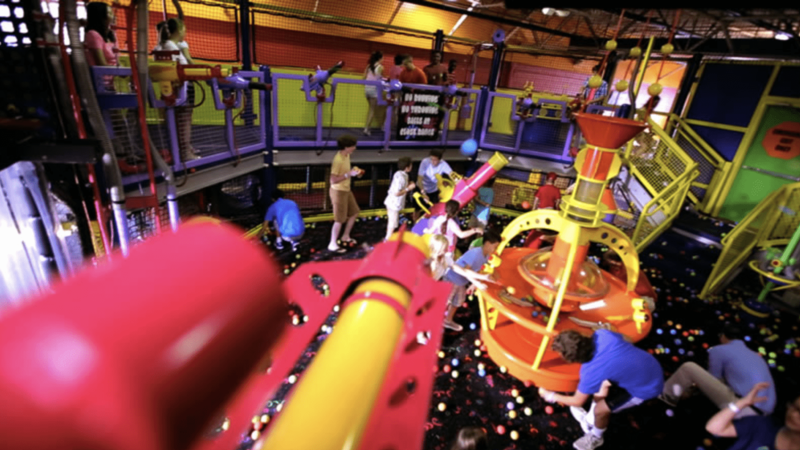 From rides to go-karts, FunFlex offers activities for all ages within a 195,000-square foot air-conditioned space. Young children will love the family-friendly rides, like the rotating lady bugs and airplanes. Bumper cars and the Ferris wheel provide excitement for older kids and teenagers. The FunPlex Tower plunges young thrill seekers from the ceiling to the floor, while the virtual reality roller coaster simulates dips, drops, and loops. Besides rides, FunPlex has a Go-Kart track, skating rink, and bowling alley. To ride the Go-Karts, riders must be at least 42-inches tall if accompanied by an adult, or 58-inches tall to ride alone. Go-Karts race through FunPlex at speeds up to 40 MPH, so all drivers and riders must sign a liability waiver, conveniently available on FunPlex’s website. The arcade has 150 different games, from traditional ticket-vending carnival-style games to the latest video game arcade machines. Gamers may trade tickets may for midway prizes like toys and candy. When adults have had enough family fun, the Sports Bar and Grill broadcasts sporting events all day, every day. For those old enough to drink alcoholic beverages, the Sports Bar serves top-shelf liquor, mixed drinks, and beer. FunPlex offers event spaces for weddings, birthdays, quinceaneras, and other special occasions. For sophisticated events, the Royal Palace has a dance floor, stage, and elegant chandelier lighting. The Club Hall, Studio Hall, Balcony, and Window Halls can accommodate events of nearly any size. FunPlex Amusement park is open Monday through Thursday from 5 p.m. until 10 p.m., Friday from 5 p.m. until 11 p.m., Saturday from 11 a.m. until 11 p.m., and Sunday from 11 a.m. until 10 p.m. The Sports Bar and Grill and bowling alley stay open later than the amusement park. Admission is free, and FunPlex offers unlimited ride and game packages as well as per-activity pricing.